On March 20, 1907, Miss Anna Florence Bruce of Smoot, Wyoming, was in her family’s kitchen baking five pies. All the pies she baked were fine, except for one. Annie purposefully poured a full bottle of Strychnine, or rat poisoning into the fifth pie. “While I was in the act of making the pies, a feeling or a wish came over me to kill someone and this feeling, I could not resist.” Later that afternoon Annie and her mother were making a lunch for her father. Annie’s mother asked her to get a pie from the cupboard for his lunch. Annie knew she had grabbed the poisoned one, and put it in his lunch. As soon as James Hamilton Bruce, age 43, took three bites of the pie, he instantly felt stomach pains. He died shortly after. Some of the poison had gone into James’ liver and stomach and the amount of poison left was sufficient enough to kill five men. Annie was the first woman ever convicted of any degree of murder in Wyoming. 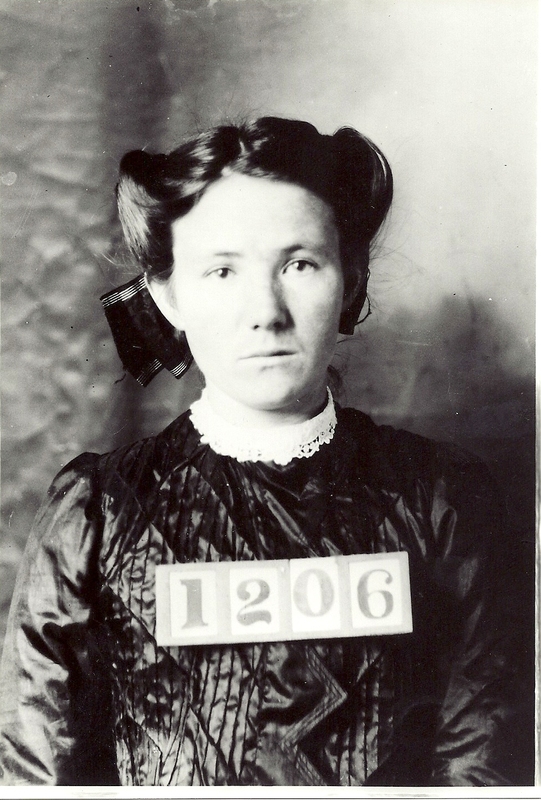 Annie Bruce was convicted and sentenced for manslaughter in Evanston, Wyoming on April 15, 1908. Annie was sentenced to four years in the Wyoming State Penitentiary, now known as the Wyoming Frontier Prison. Annie was the first woman ever convicted of any degree of murder in Wyoming. On October 6, 1909, Annie was moved to the Colorado State Penitentiary to continue her sentence because her family wanted her transferred. She was one of the last women to serve time in the Wyoming Frontier Prison. When Annie was sentenced, her supporters started a petition for her pardon. The petition got more than 630 signers. Annie finally got her pardon on June 6, 1911, Only eight days before her earliest possible discharge date. Annie was born on June 25, 1889. She was fourteen years old when she was convicted, and eighteen when she was released from prison. After she was released, she moved to Idaho Falls, Idaho on July 5, 1913. There she married Arthur S. Smith and they had two sons and one daughter together. Annie died at the age of 86 on August 13, 1975.